First snowfall, and then falling leaves. This year autumn and winter reversed. First was snow, and then it fallen leaves. 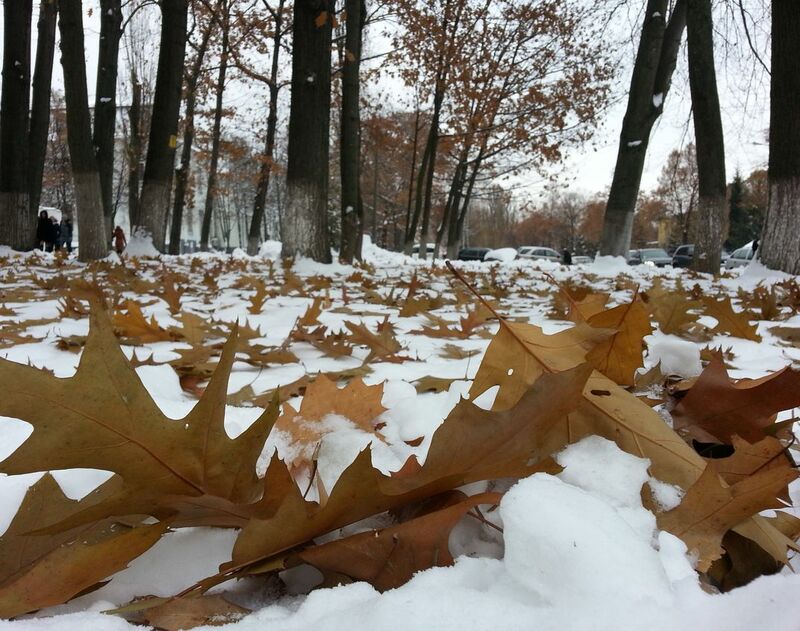 Oak leaves on the white snow - a very unusual and very beautiful picture.